Students, faculty, and community members alike gathered at Florida State University's Oglesby Union for one last week of events before the building closed for its future demolition, making way for a brand new, state-of-the-art facility (pictured below). 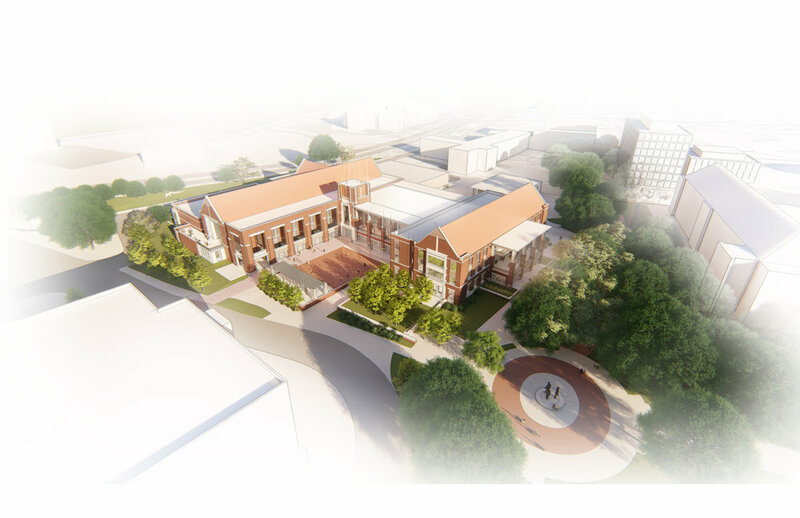 For more information on the new union, you can visit our project page or Florida State's FAQ page. Celebrating Oglesby Union's storied history and significance to the university, events included live music at Club Downunder, games and food trucks at Union Green, and the last Market Wednesday at the current Oglesby Union. Market Wednesday, a weekly gathering of students, artisans, vendors, Greek life, and other student organizations, and a favorite tradition on campus, is a highlight of the Union Courtyard, and was incorporated into our design for the new union. Pictured right is a Market Wednesday from 2017, during one of our design team's campus visits, where we gathered input from students and staff and conducted participatory design workshops. Read more about students' experience at Last Call Before the Wrecking Ball from the Tallahassee Democrat, here.